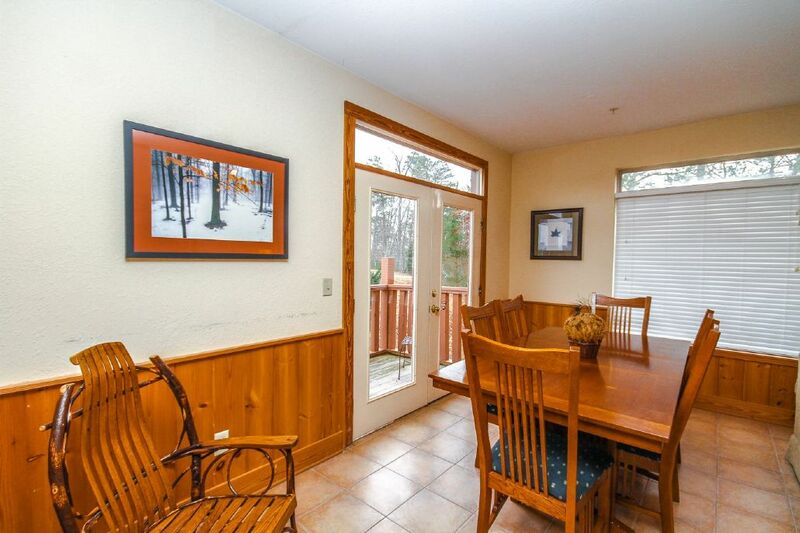 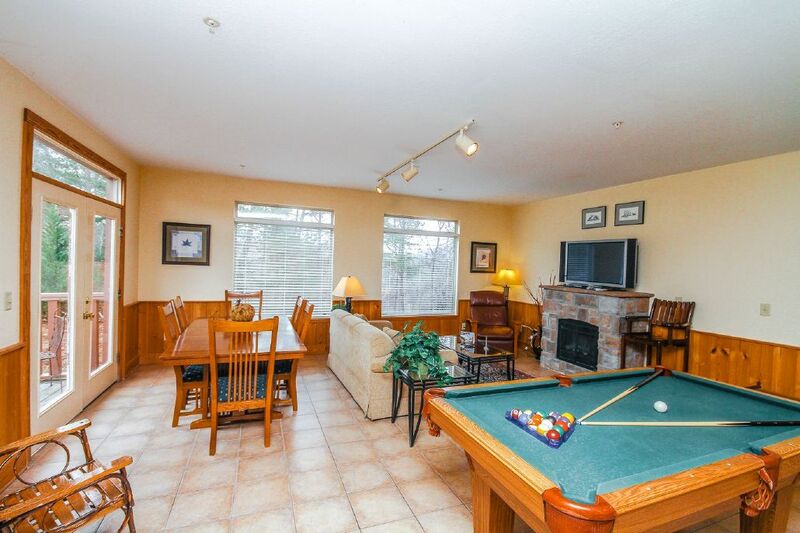 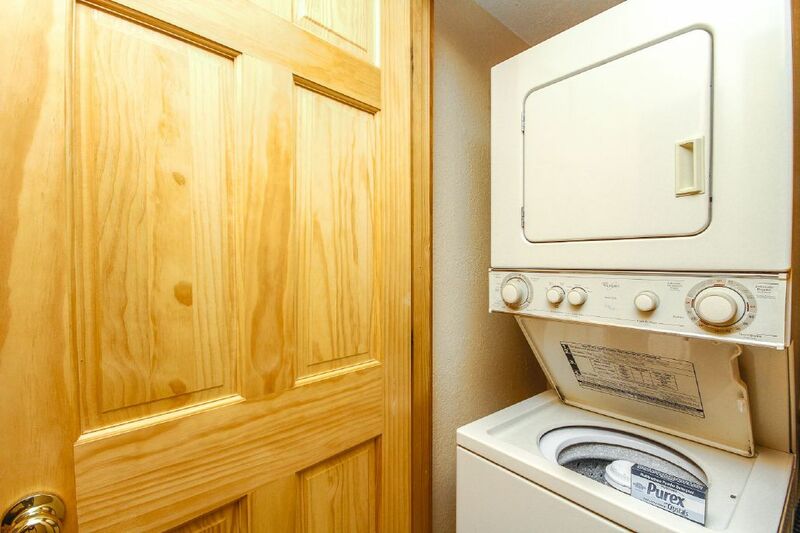 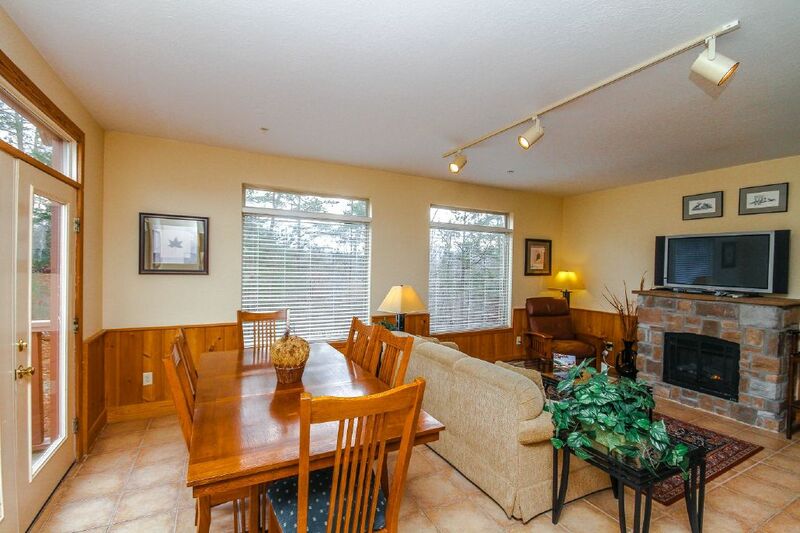 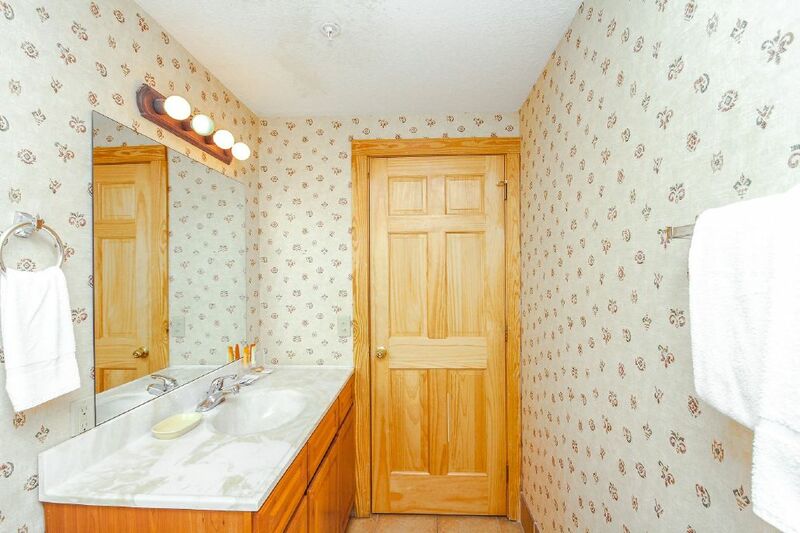 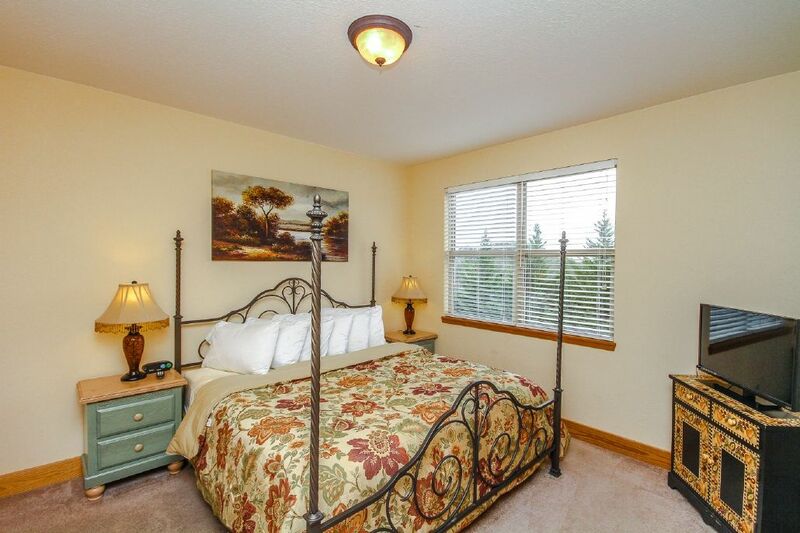 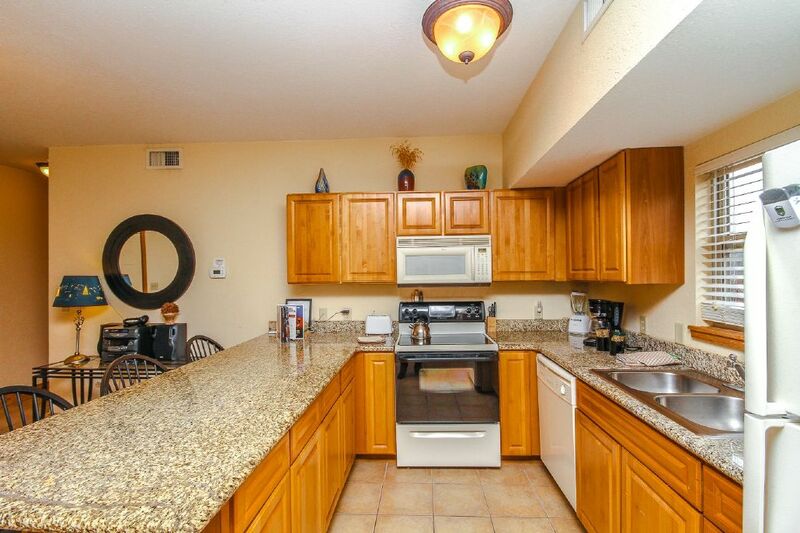 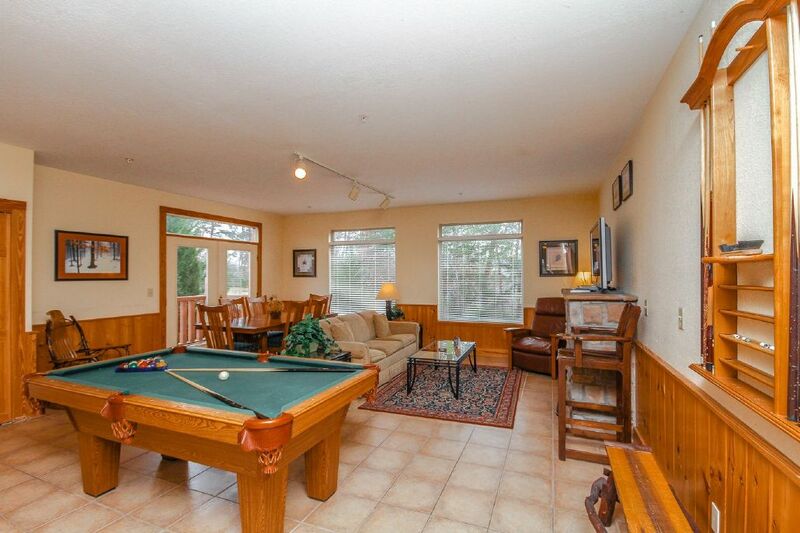 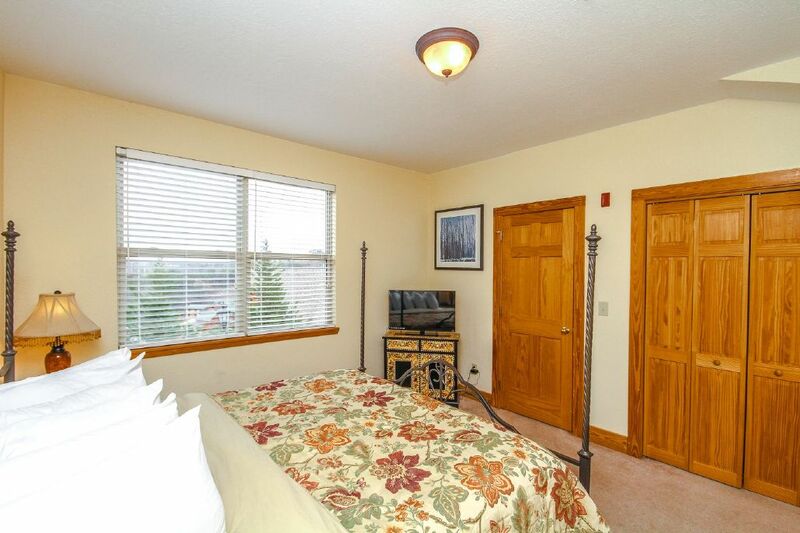 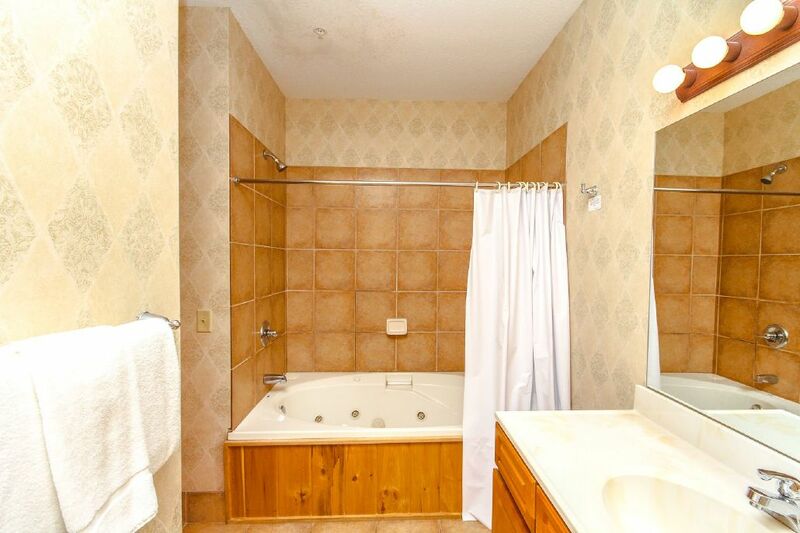 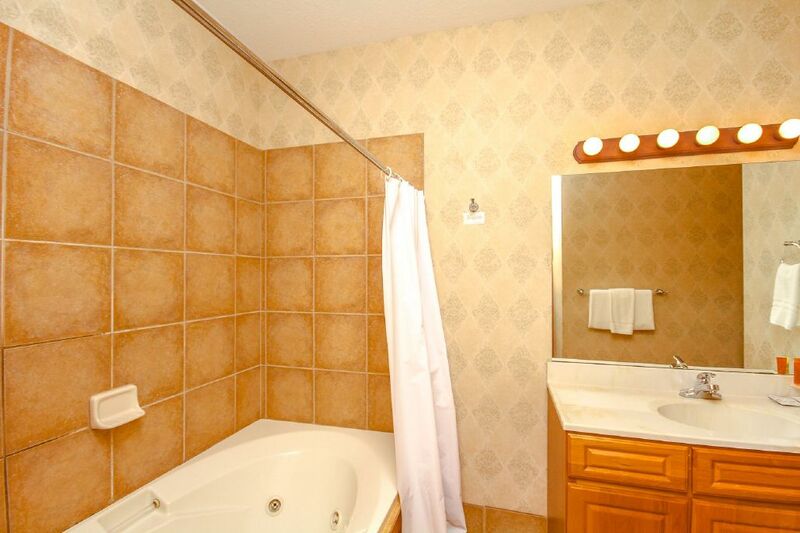 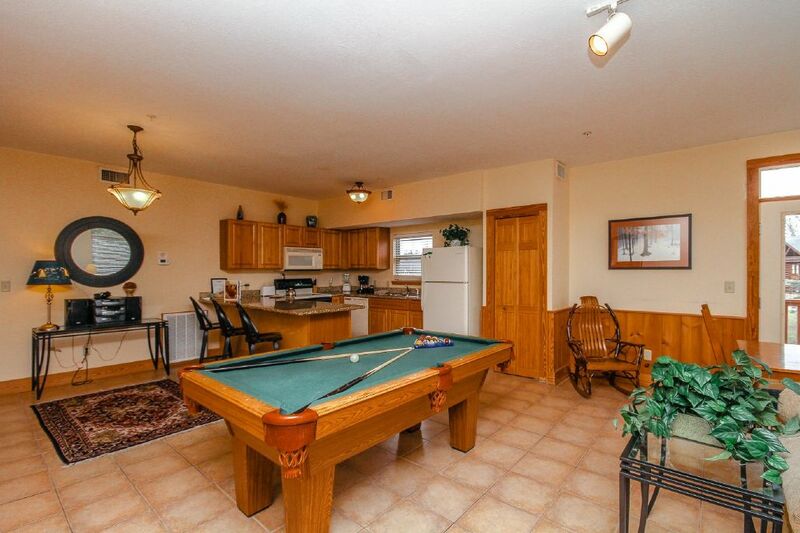 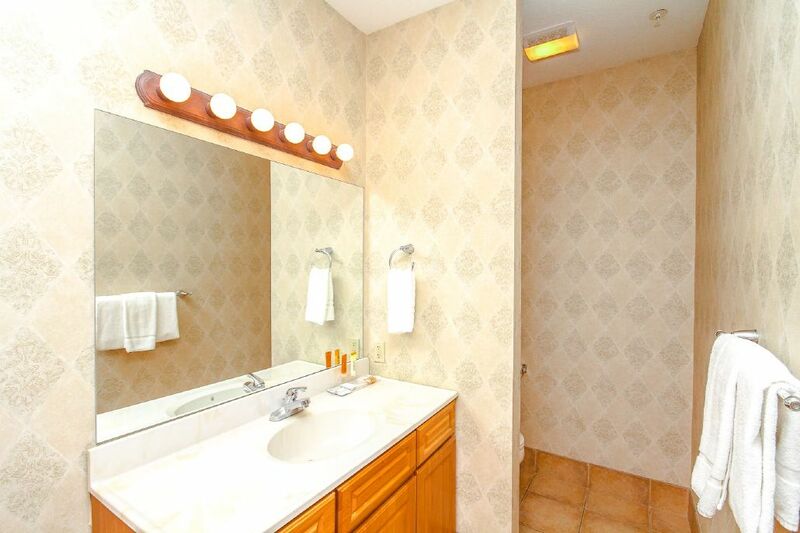 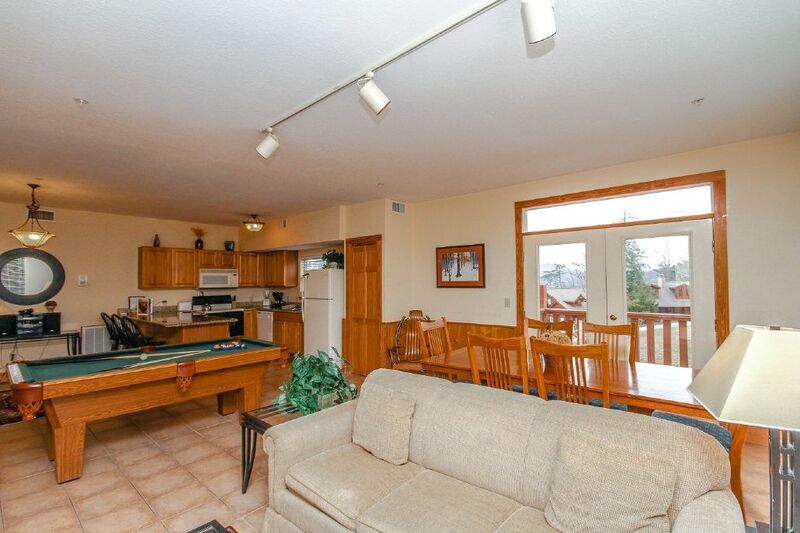 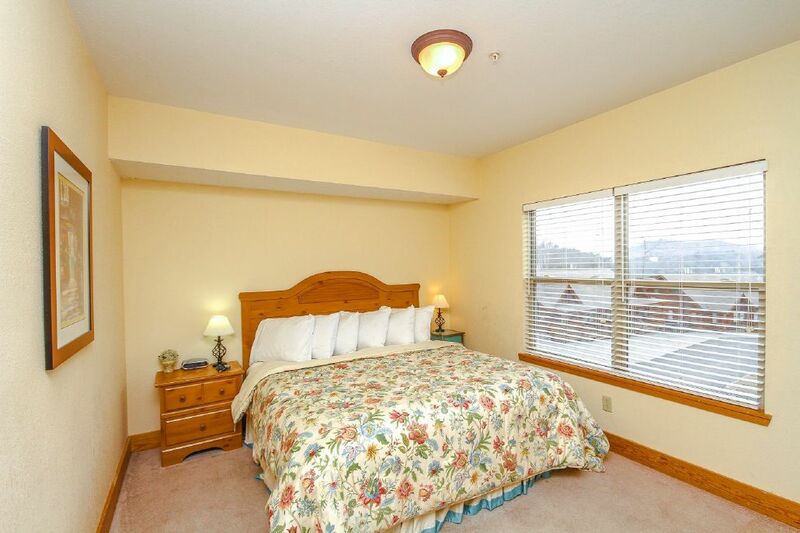 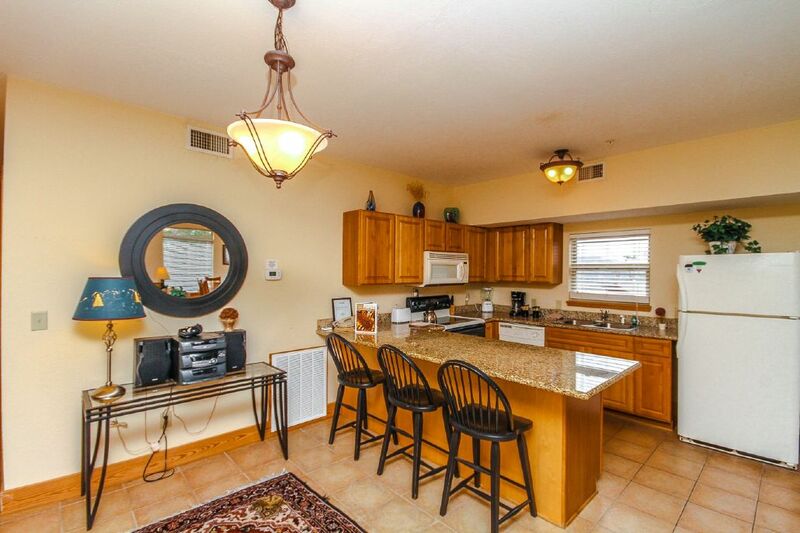 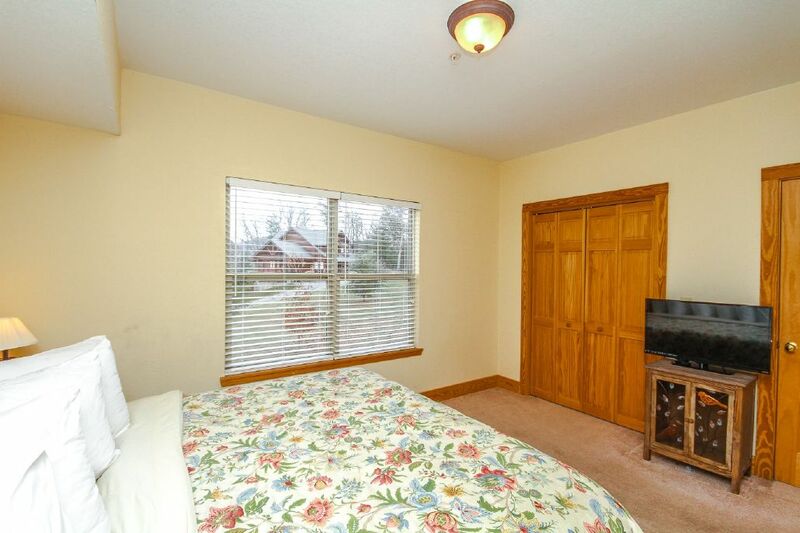 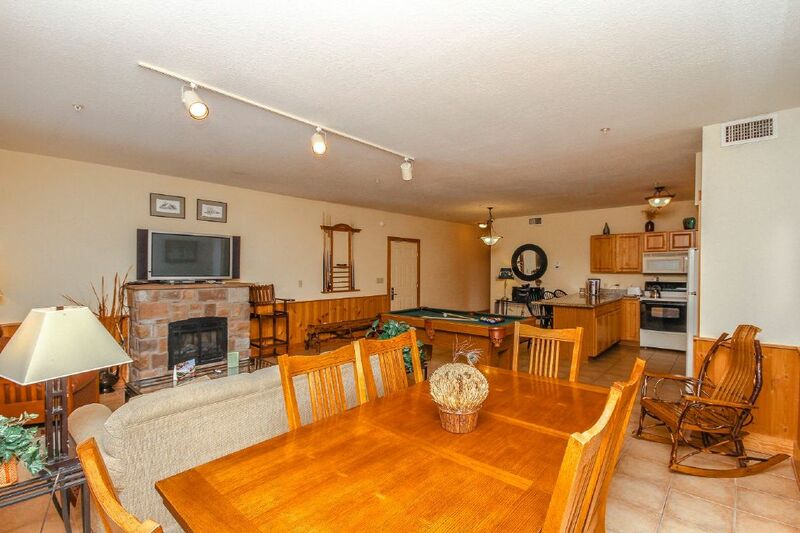 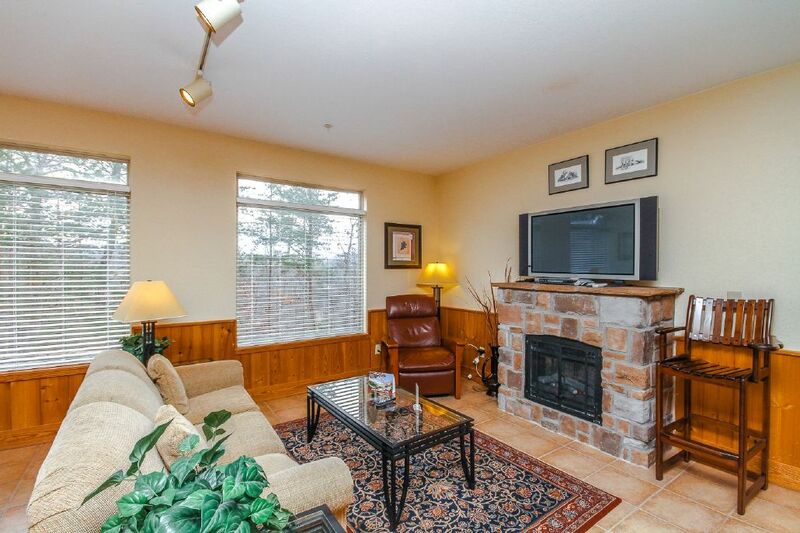 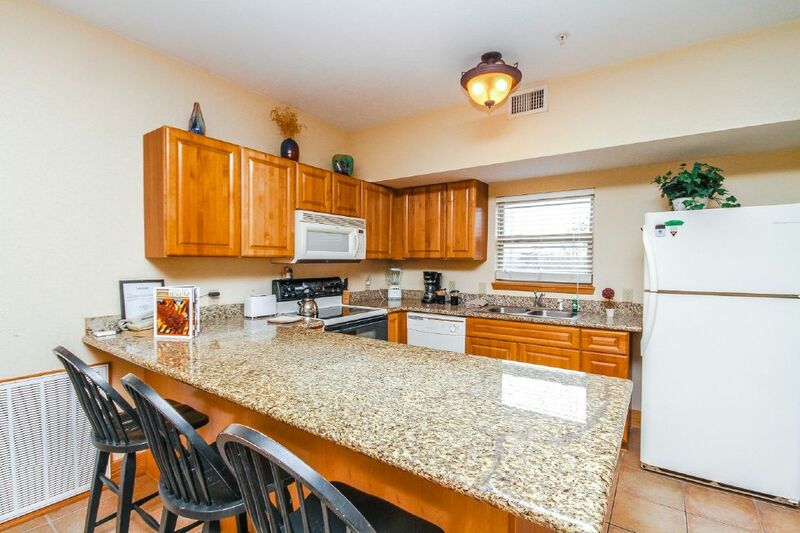 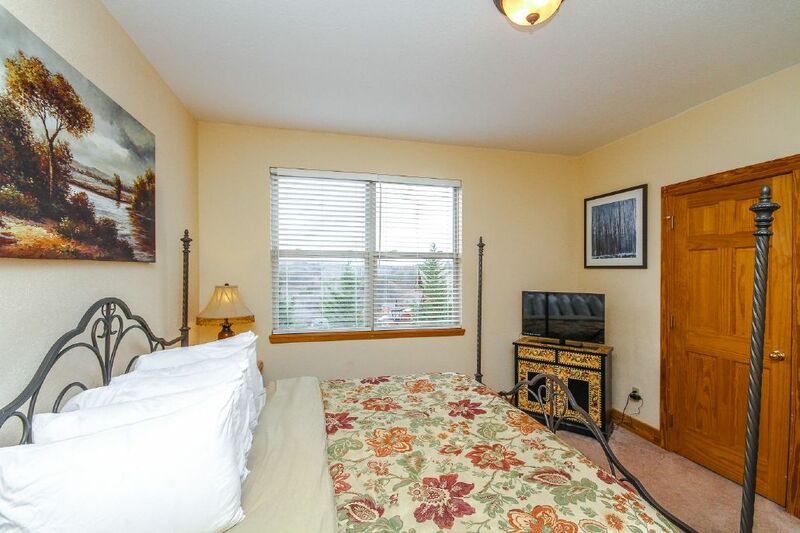 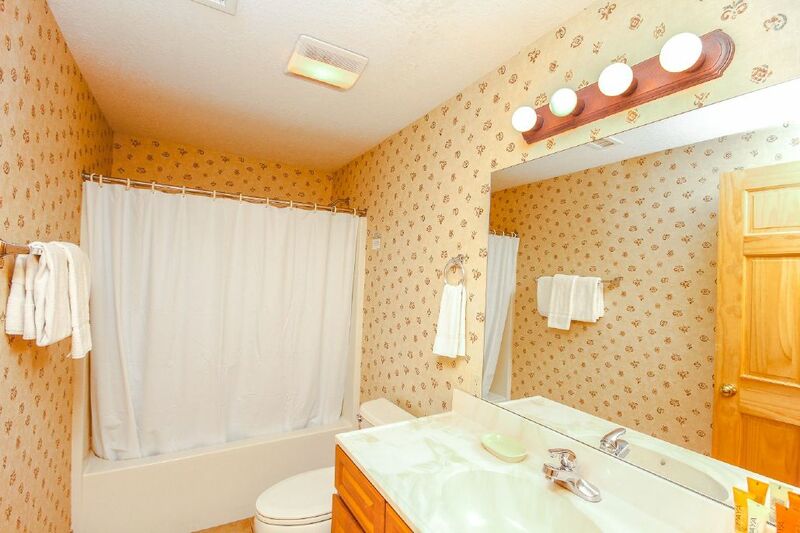 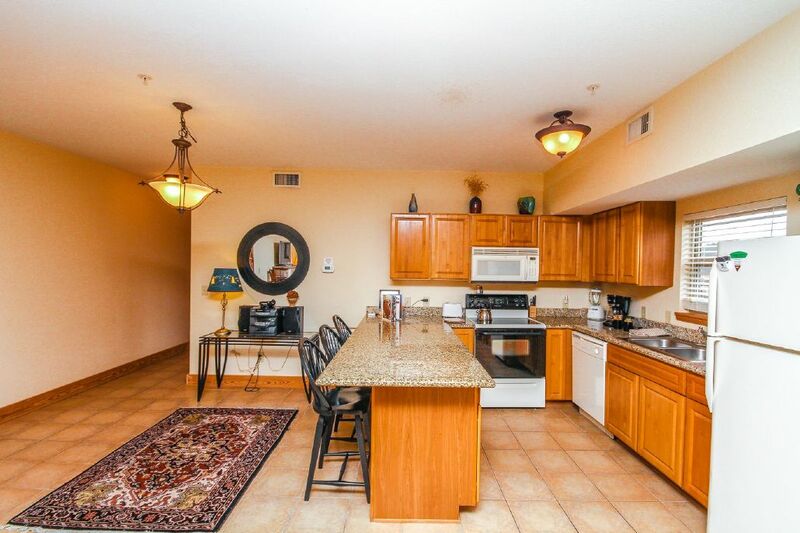 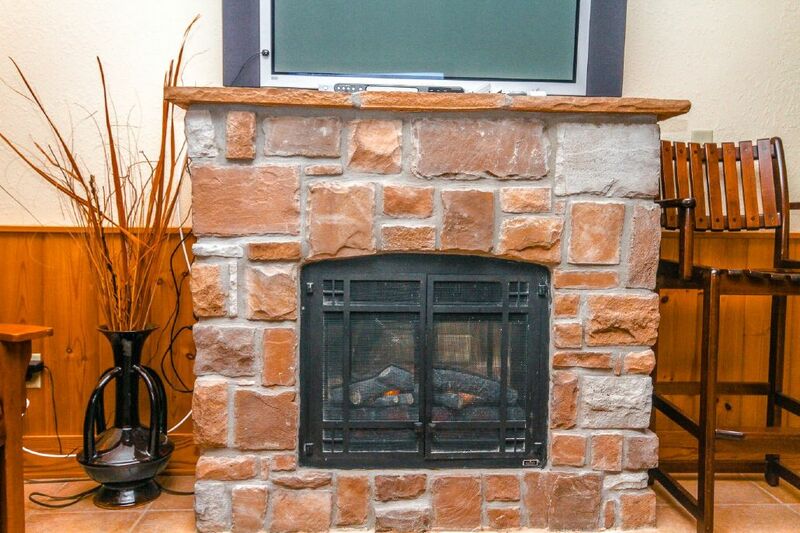 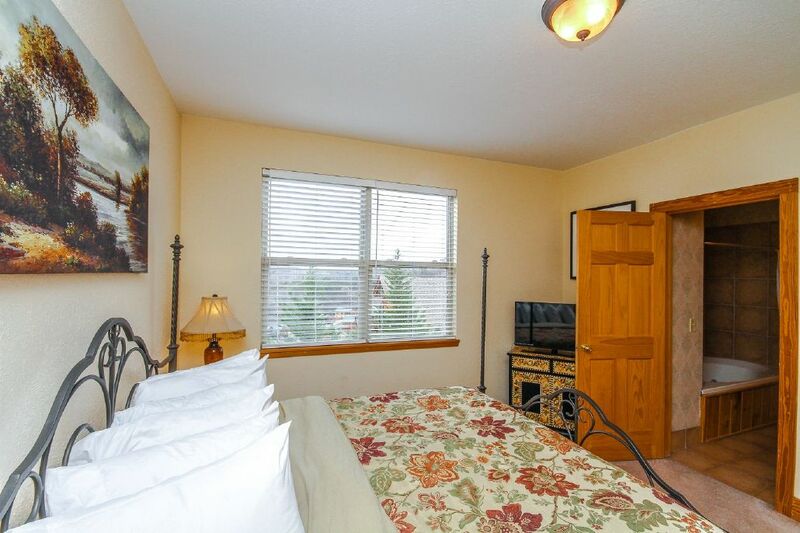 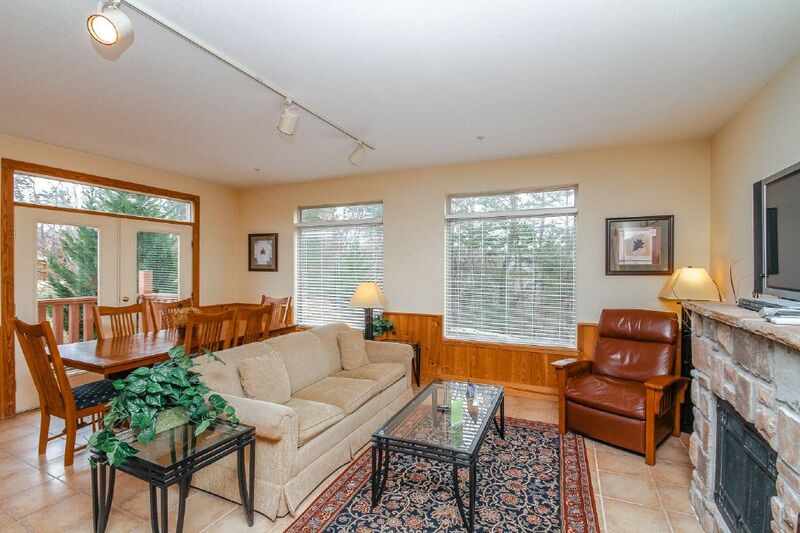 This spacious condo features 2 bedrooms and 2 bathrooms. 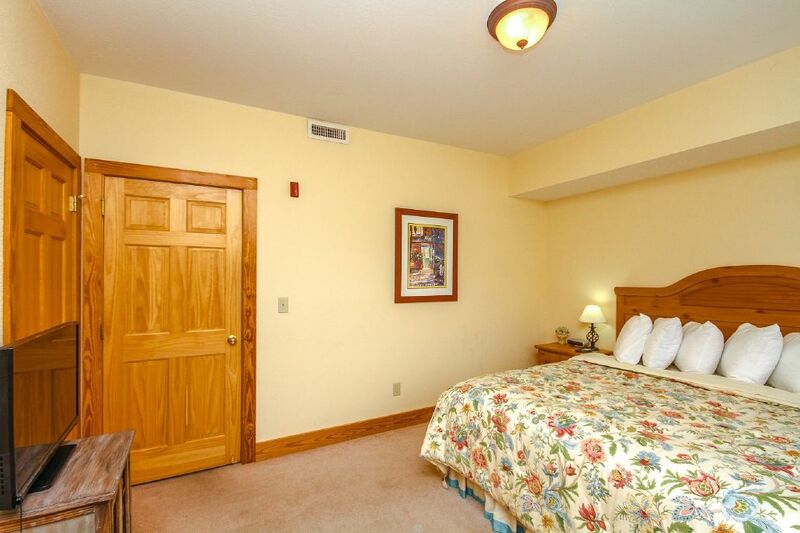 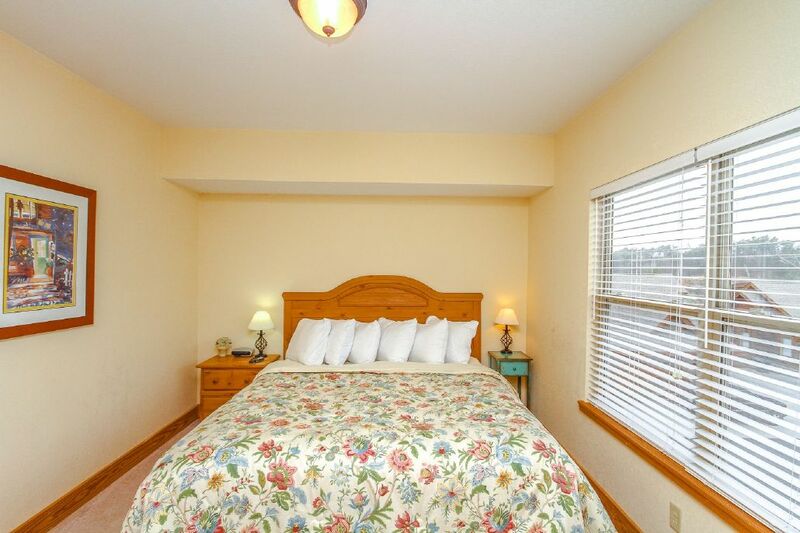 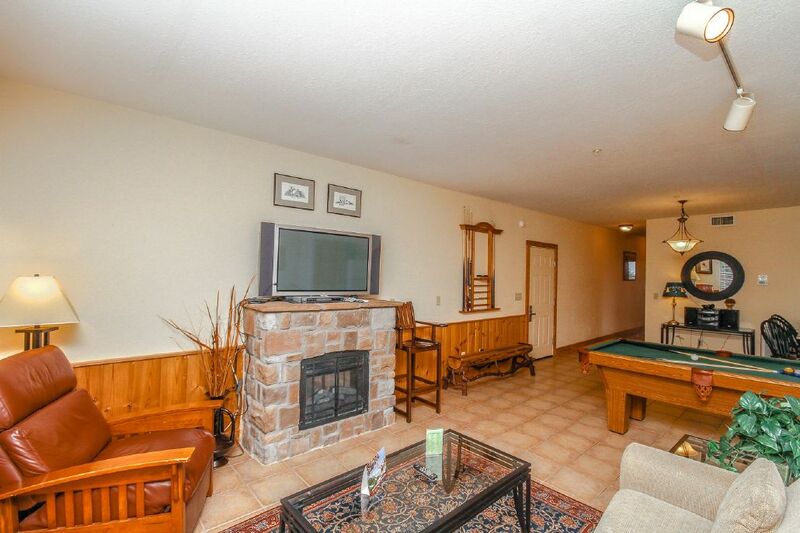 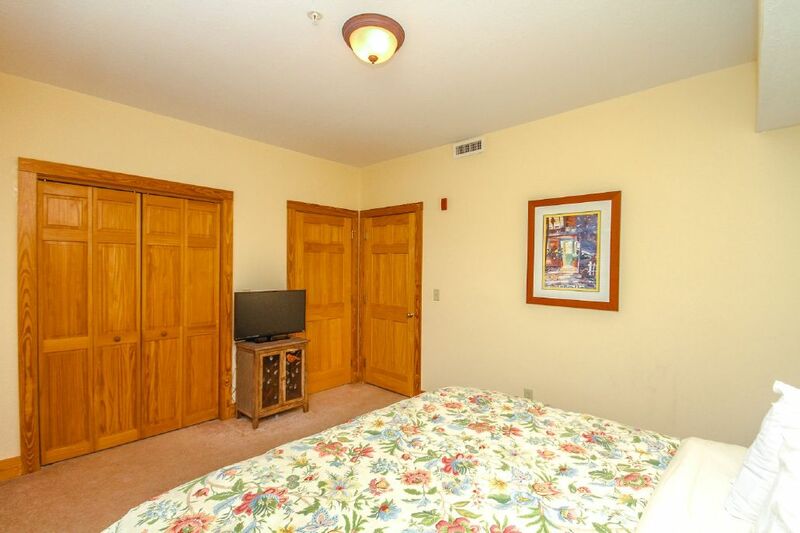 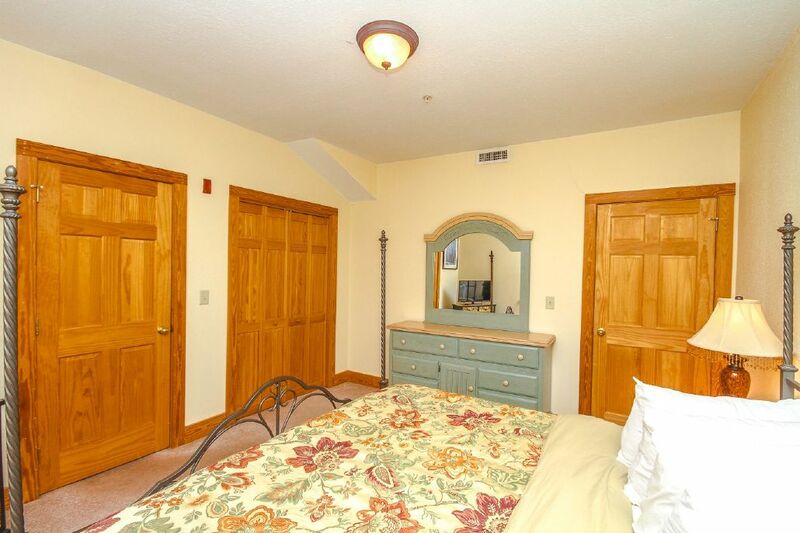 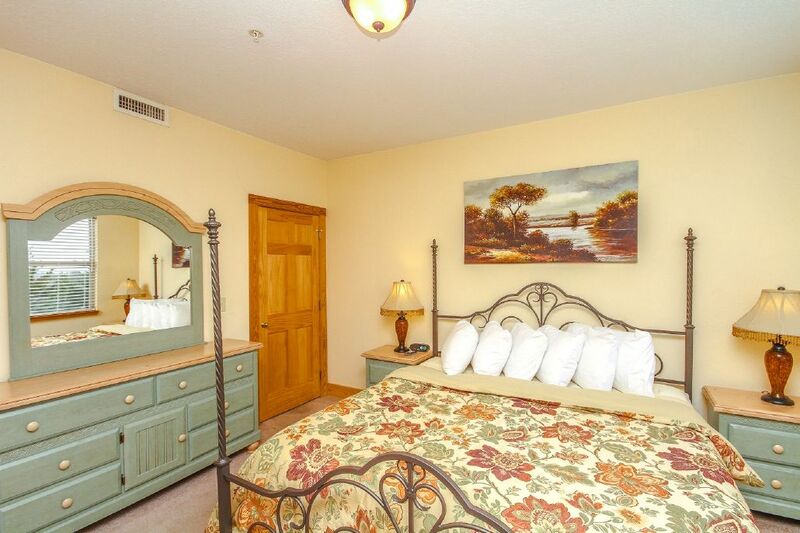 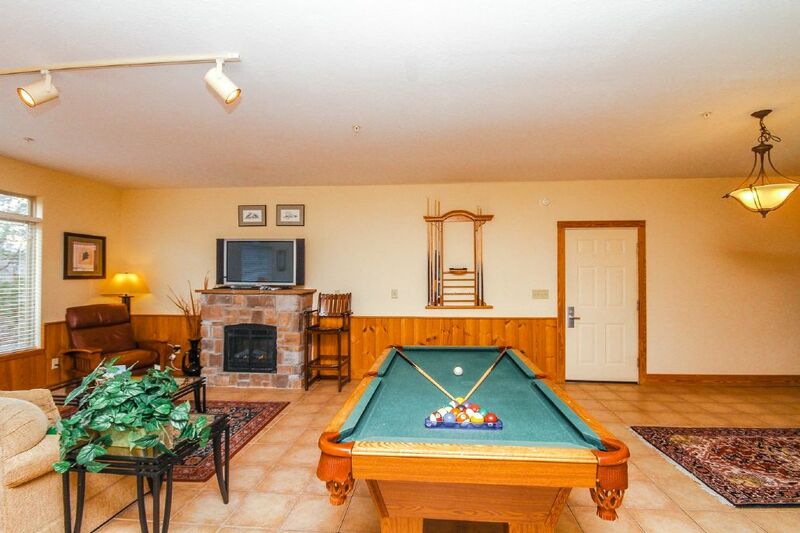 Each bedroom has a king bed along with a Jacuzzi tub in one and a TV in each one. 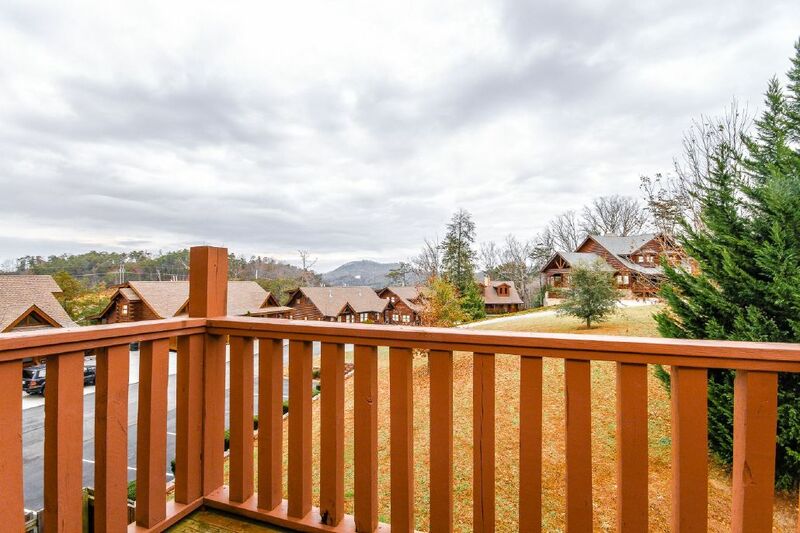 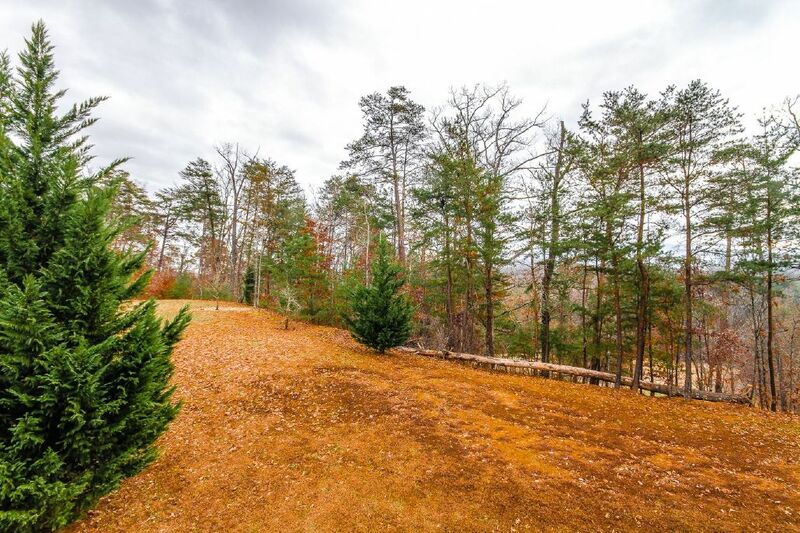 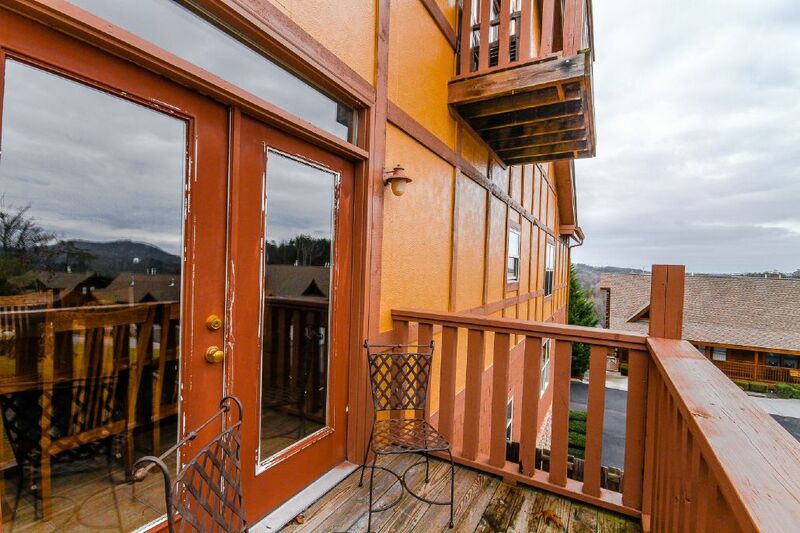 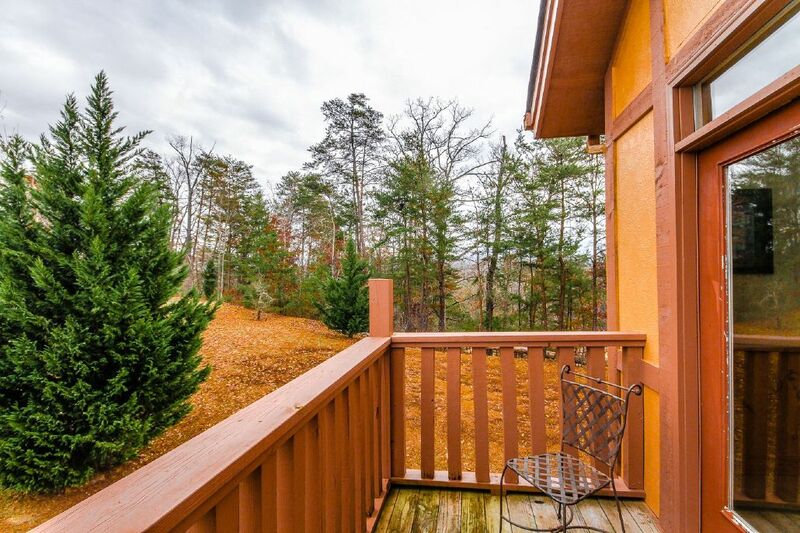 A large TV in the living room, fully furnished kitchen, pool table, electric fireplace, washer/dryer, and a balconey with a pretty, wooded view round out this Hillcrest condo. 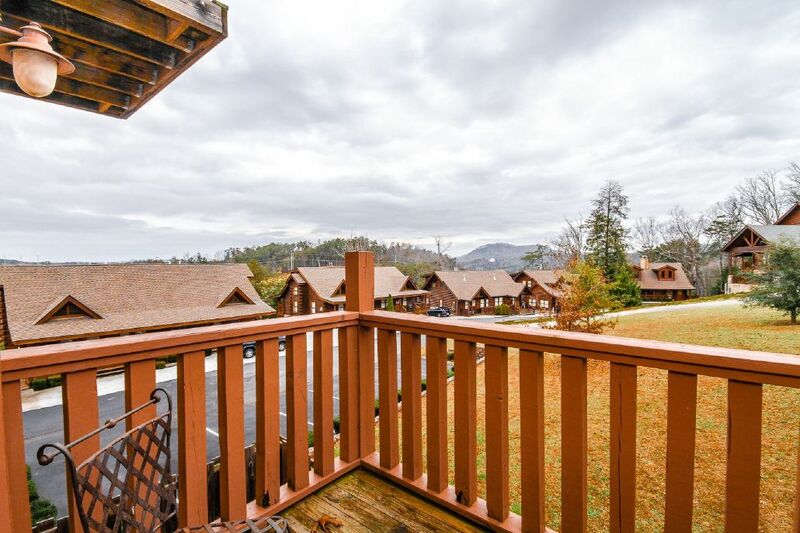 START YOUR OWN JOURNEY, BOOK YOUR STAY TODAY!